This is a deceptive release. Listen to the first tracks ‘Trancefusion’ and ‘Riff Raff’ and you’d swear the record was a generic jazz-rock fusion album with Ranjit Barot adopting the Billy Cobham role, and McLaughlin not sounding like himself at all. But everything changes from ‘Echoes From Then’ on, as Etienne M’Bappé steers the band on a loping, boogie-ing tilt, and Gary Husband moving into more open improvising territory. M’bappé produces a lovely figure at the beginning of ‘Wonderfall’ and so, lo and behold, the album suddenly becomes much more tender and approachable. 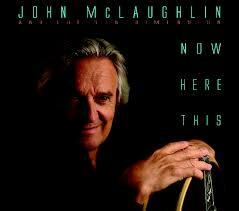 ‘Not Here Not There’ is where McLaughlin really opens up in terms of expression rather than firepower, utterly remarkable at 70 or any age. 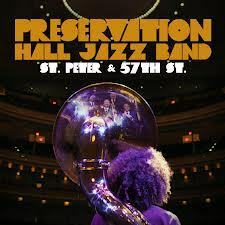 Marking 50 years of a trad jazz institution recorded at Carnegie Hall in January St Peter & 57th St is a starry gathering with Allen Toussaint, Steve Earle (a big highlight on ‘Taint Nobody’s Business’) and remarkably Merrill Garbus of the toggle-case loving Tuneyards. Check your deeply ingrained ideas about trad at the door or you’ll miss out on a few gems here. 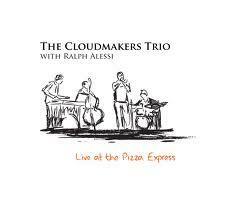 Recorded in 2010 this classy release, with great artwork and live sound faithfully captured by the Pizza Express’ sound engineer Luc Saint-Martin complementing the quality of the musicianship at play, the Cloudmakers allow once more a good hard look at Jim Hart’s outstanding vibes playing. The existential, at times admittedly overly-serious, sound of trumpeter Ralph Alessi is the main thing you’ll hear upfront on many of the tracks, but there is a complex set of rhythms at play from the trio that demands more detailed listening, as anyone who has heard bassist Michael Janisch play in whatever context over the past five years will testify to. 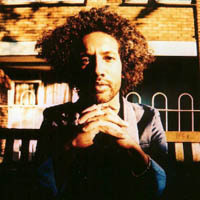 Outhouse’s Dave Smith is typically capable, and this release will also do much to raise the profile of Whirlwind not just for the undoubted taste it brings to its output, but also the label’s improving presentation, something that many indie jazz labels don’t think hard enough about. Here’s a book, Soul Unsung: Reflections on the Band in Black Popular Music, crying out to be written. And who better to write it than Kevin Le Gendre. It’s the award winning music writer’s first book, although his essays have appeared between hard covers before, for instance in the anthology Ic3: The Penguin Book of New Black Writing in Britain edited by Courttia Newland and Kadija Sesay, published a dozen or so years ago. Soul Unsung, to be issued with a slightly different title in the States, was published in the UK on 1 August by the Sheffield-based Equinox, who have already published important jazz-related books on Lee Morgan and Ian Carr to name but two. I, for one, am looking forward immensely to reading Kevin’s book, as the Tottenham-based writer has that rare ability to make you think that bit harder, and feel that bit more deeply about jazz, and its position within the bigger socio-economic and cultural orbit. The book “celebrates the contribution of players of instruments to soul", and “offers insights into the state of contemporary soul and its relationship with jazz, rock and hip-hop," according to the blurb you’ll find on Amazon. The great jazz writer Ashley Kahn says this of the book: "Le Gendre does a yeoman’s job — with the creative approach of a songwriter and the uplifting spirit of a Sunday preacher — at unveiling the long-hidden history of the legendary instrumentalists of the Golden Era of Soul. A must-read for any student of culture." Praise indeed. 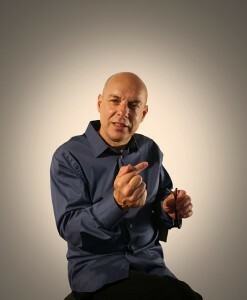 Brian Eno (above) is to remix live at September’s Punkt festival in the southern Norwegian city of Kristiansand. Eno, the festival’s artistic director for 2012, doesn’t often appear on stage these days, and will take to the Alfa Room, the live remix room at the heart of the festival renowned for the immediate remixing of live sets by a variety of complementary artists. Alfa is like a stage and studio hybrid, an extension of festival curators Jan Bang and Erik Honoré’s concept in integrating live sampling and live electronics, with remixing at its core. Other artists set to appear are: Cyclobe, Stephen Thrower and Ossian Brown’s electronic project founded in 1999 playing only their third concert; Malian guitarist/n’goni player Guimba Kouyaté; singer/composer Ebe Oke, who Eno has collaborated with in recent years; Iceland-based Australian electronicist Ben Frost; Canadian violinist Owen Pallett; live ambient remixers Marconi Union; Icelanders glitch electronica outfit Múm; and noisniks Three Trapped Tigers. When Fran Landesman died last year there was a real outpouring of not just understandable sorrow at the loss of an influential writer and convivial human being, but also an instant recognition of the artistry and huge effect her meaningful, slightly cynical, but very real, songs had on people. Above all the reaction was a reflection of what the songs meant to singers on the jazz scene and London’s closely converging literary circles, particularly among the beat writers and their modern day counterparts. While ‘Spring Can Really Hang You Up The Most’ and ‘Ballad of the Sad Young Men’, written with Tommy Wolf, are her widely acknowledged major achievements, proof should it be needed that there was so much more beyond these non pareils is provided by this exemplary album. 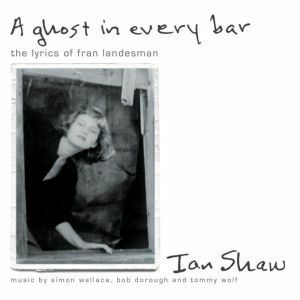 Landesman liked Ian Shaw’s version of ‘Spring’: “Who’s playing my song?" Shaw recalls her saying, as she discovered him sight reading from sheet music he had found in her house in Islington where he had been rehearsing with her son Miles. So Shaw is clearly the right person to bring something to the fireside, and perform the songs both Fran wrote with Wolf in the 1950s, and much more recently with Simon Wallace, who fittingly plays piano on all the tracks apart from the three Shaw accompanies himself on. I’m quite partial to hearing Shaw accompanying himself, something I only properly realised when Shaw played a duo gig with Gwyneth Herbert at the Pizza Express Jazz Club earlier this year. But Wallace is ideal throughout. A Ghost in Every Bar, what an evocative title for the album, features some Landesman/Wallace songs previously unheard comprising the bittersweet but lonesome ‘Stranger’ ("waiting for a meeting with that special person"), ‘Noir’, and the witty ‘Killing Time’, OK not the most instantly memorable of songs, but this album is clearly destined for a long term relationship, one I know I’ll be picking off the shelf and listening to time and again with great pleasure. Why so? It’s both the quality of the lyrics and the performance, Shaw never oversells the songs but draws out their nuances so you feel there is a roomful of interior and exterior conversations at play. ‘Small Day Tomorrow’, which Landesman wrote with Bob Dorough, and ‘Spring’ are the tracks I have gravitated towards most so far, but this may well change with repeated plays. It’s lazy journalism to say that this is such-and-such’s best album with a broad stroke of the pen and and no further justification. But for me it is Shaw’s greatest achievement, and I’ll explain it by saying that it’s more so than even his best work A World Still Turning recorded in New York, and the Joni Mitchell songbook Drawn To All Things. It’s so good because Ian creates more of a personal dream world of the imagination here than either of these considerable highlights quite achieve. It’s a process of transforming the simple notes or words lifted from the pulpiest of pages into something that makes you experience the moment you’re hearing it, with that much more significance. There’s no pretending on this most poetic of albums, and an uncanny empathy that’s quite remarkable.